Moringa tree extracts contain high levels of antioxidants that may be beneficial in the treatment of cancer. 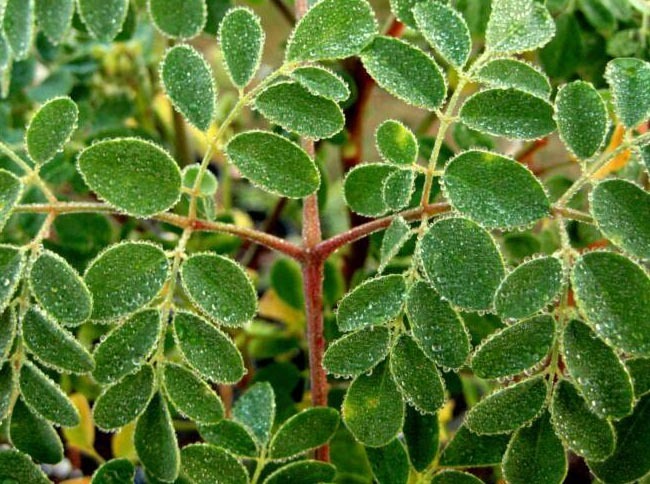 Studies show moringa tree extracts reduce cancer cell growth. 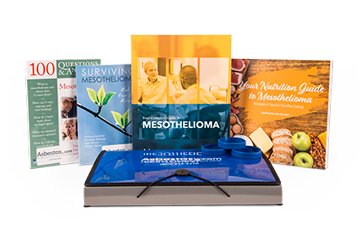 Some mesothelioma survivors claim the herbal supplement has helped them. Moringa is a plant native to India, but it is cultivated worldwide in tropical and subtropical regions. It is known for its nutritional and medicinal properties. Researchers show it could be used as a treatment for cancer, asthma, cardiovascular disease, diabetes and other diseases. A 2017 study published in the Asian Pacific Journal of Cancer Prevention found the extract from moringa leaves acts as an as anti-cancer agent that reduces cancer cell growth and promotes cell death in several cancers. There are 13 species of moringa that range in size — from leafy shrubs to tall trees. The most commonly harvested species, M. oleifera, is a small, fast-growing tree used for centuries to combat many different ailments, including symptoms associated with a mesothelioma diagnosis. However, there are no studies about its effect on mesothelioma. While the leaves are perfectly safe, consuming large quantities of the bark or pulp may be harmful. Do not consume moringa if you are pregnant, taking the diabetes drug sitagliptin or taking drugs that are substrates of the cytochrome P450 family of enzymes. The high levels of antioxidants (vitamins C and A) help protect against cell damage caused by chemicals in the body, known as free radicals, which can play a role in the development of cancer. Vitamin C helps the body maintain a healthy immune system, while vitamin A is essential for normal growth, vision and bone development. It can also help maintain mucous membranes that protect against infections in the respiratory and digestive tracts. Moringa leaves also contain essential amino acids that can boost the immune system. This is extremely important while undergoing treatments such as chemotherapy. Drugs used during chemo can wreak havoc on the immune system, and the body needs a way to combat this side effect in order to fight back. 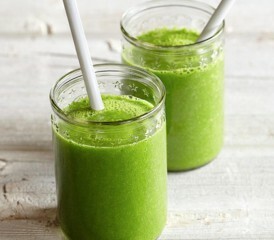 There are many ways to incorporate moringa into your daily diet. Its leaves can be eaten fresh, cooked or crushed, and they can be stored as dried powder for several months without loss of nutritional value. It tastes great in fruit smoothies. You can try combining passionfruit, moringa and honey for a tasty, nutritious snack. You can use the dried powder in a curry recipe and serve it over rice. It is also commonly used as a replacement for spinach in almost any recipe. View our free patient resources that can help you or a loved one gain an advantage over this condition. Not only is moringa highly nutritious, it also has beneficial medicinal uses. In India, its leaves, fruit, flowers, seeds and roots are medicinal, especially as anti-inflammatory and anti-tumor medicines. As moringa has long been recognized by folk medicine practitioners, scientists are beginning to research its anti-cancer properties. The Asian Pacific Journal of Cancer Prevention in 2003 published a study in which researchers examined skin tumor prevention following ingestion of moringa seedpod extracts in mice. Results showed a dramatic reduction in skin papillomas and suggested that moringa has possible cancer-preventing properties. Another study conducted in 2006 reported that a molecule found in M. oleifera induced cell death in ovarian cancer cells grown in a lab. Based on these findings, researchers want to research if the plant has potential to treat this type cancer. Because of the side effects of some cancer treatments, patients experience a loss of appetite, which can lead to malnutrition and severe weight loss. Malnutrition occurs when your body does not get enough nutrients. Keep in mind that treatment options affect people differently. As with any alternative treatment, it is best to talk with your doctor before adding moringa to your treatment regimen or diet. If you experience any side effects after using these alternative methods, you should seek medical attention immediately. The Food and Agricultural Organization of the United Nations recognized moringa as the September 2014 Traditional Crop of the Month. While the nutritional and medicinal value of moringa is becoming more well known, further scientific research and clinical studies are needed to provide further acknowledgement of this plant as a cancer preventive method. Abd-Rabou, A. et al. (2017). Moringa oleifera Root Induces Cancer Apoptosis more Effectively than Leave Nanocomposites and Its Free Counterpart. Gopalan, C.; Rama Sastri, B. V.; and Balasubramanian, S. C. (1971). Nutritive value of Indian foods. Hyderabad, India: National Institute of Nutrition.